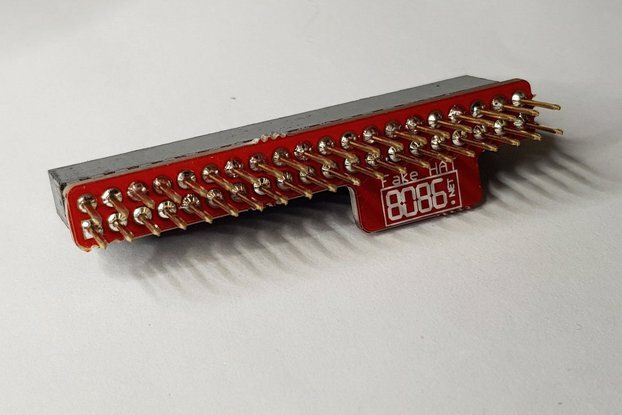 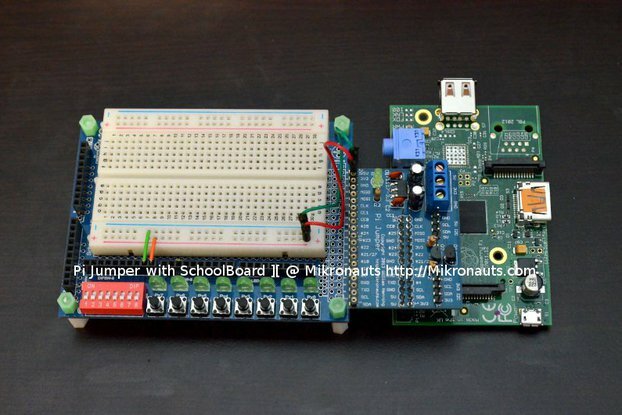 Designed for educational users and hobbyists, Pi Jumper Plus stacks on top of a Raspberry Pi Model A and B, then plugs right into a solderless breadboard with the supplied 26 pin IDC cable connecting it to the Raspberry Pi. 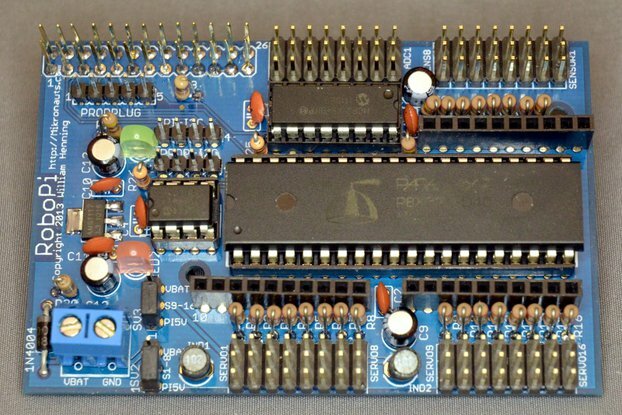 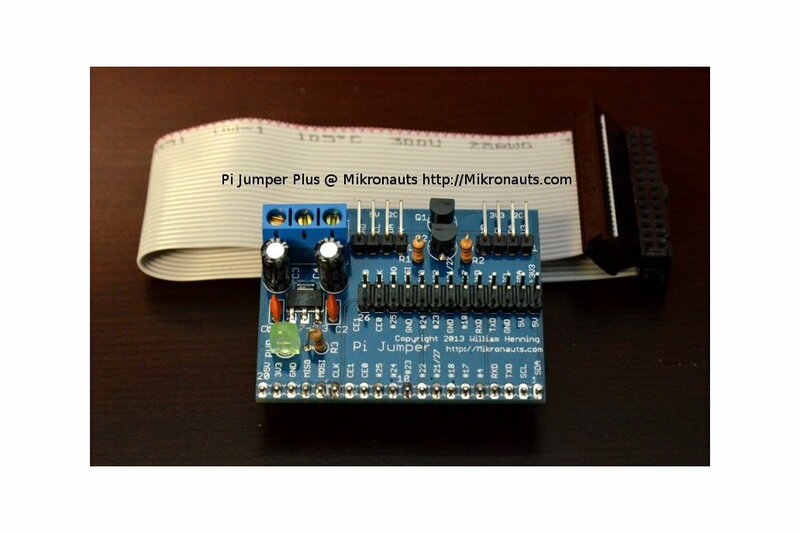 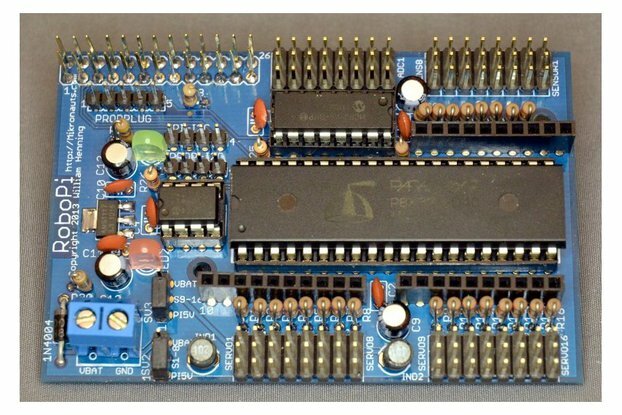 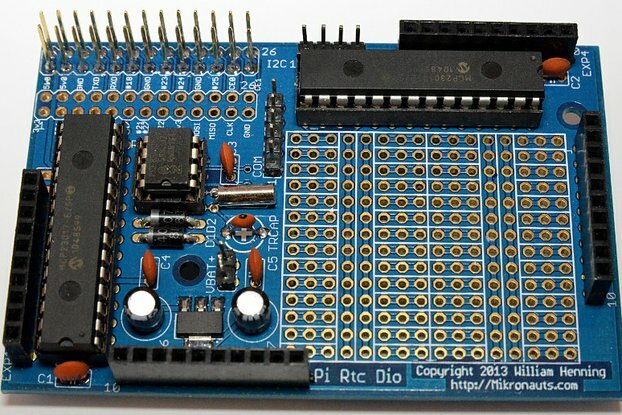 Pi Jumper Plus requires an optional stacking header for use with Raspberry Pi Models A+, B+ and Raspberry Pi 2. 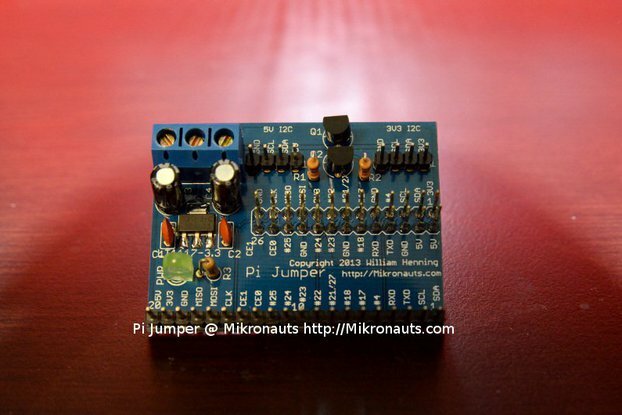 I designed Pi Jumper to be able to experiment with Raspberry Pi I/O more easily, and to provide both 3v3 and 5V I2C connectors. 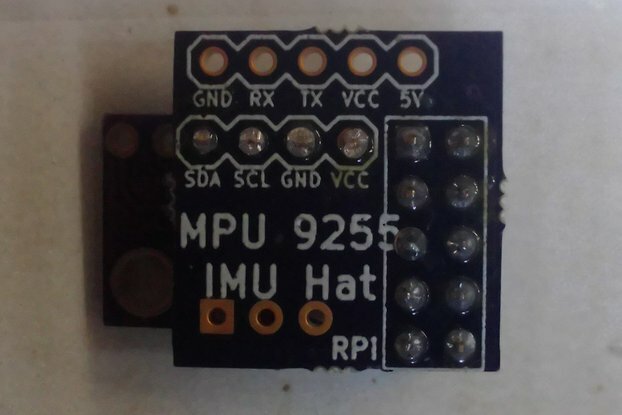 Pi Jumper also adds an LT1117-3.3 (or equivalent) voltage regulator powered from the Raspberry Pi expansion connectors 5V output, so you don’t have to worry about the Pi’s 3.3V current limits on earlier Pi's. 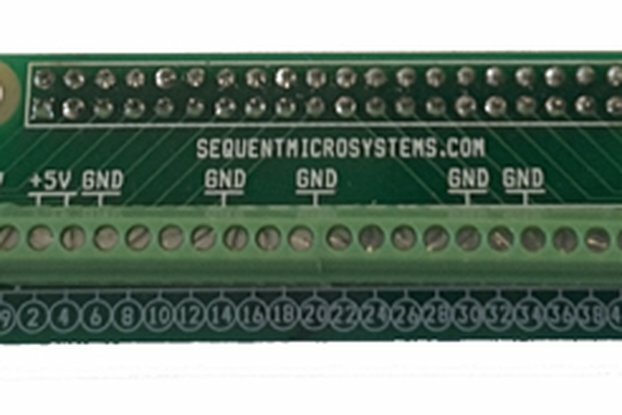 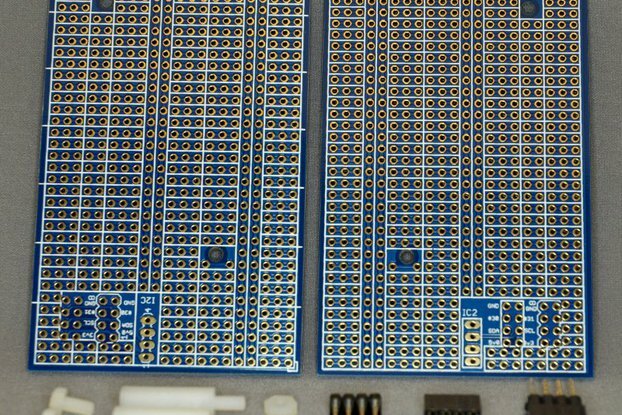 Pi Jumper provides a three screw terminal so that you can run 5V / 3.3V / GND to your breadboards power strips. 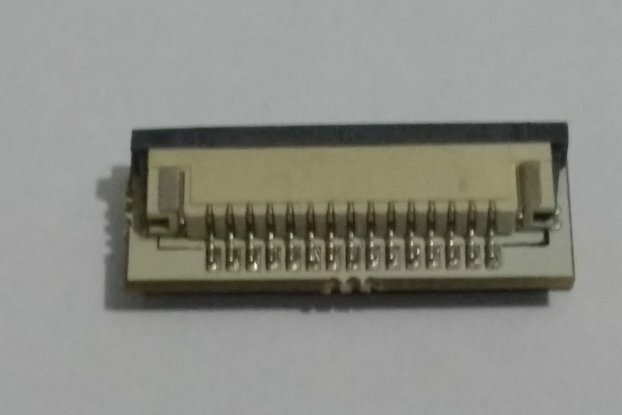 The dual 3v3 and 5V I2C connectors, IDC cable, the clearly labelled I/O connection points, and the 3v3 regulator.